The following contract explains the "Scope" and the "Limitations and Exclusions" of the home inspection. 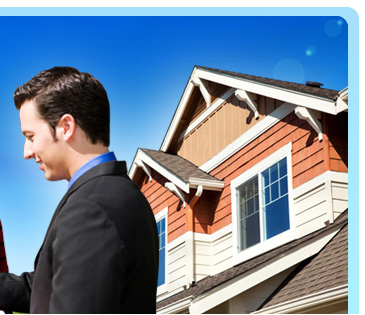 Your electronic signature will be your acceptance of the home inspection agreement between the inspector and yourself. Please read the contract and completely fill in the required boxes and sign below. 1. The inspection services and Report provided by CMHI (Central Mass Home Inspection) are based on a visual inspection of the readily accessible areas and functioning systems of the subject property as observed at the time of the inspection only. The inspection and Report are made in conformity with the Standards of Practice of the Commonwealth of Massachusetts 266 CMR 1.00 through 11.0. The inspection and Report are limited in nature by the terms, exclusions and limitations as stated in the Standards of Practice and this contract. The inspection and report are limited to the major structural and major mechanical systems of this property as outlined in the Standards of Practice which can be subjected to a visual inspection from the ground, without demolition or damage to the finish materials and/or removal of covering items or stored materials. A copy of the Massachusetts Standards of Practice will be attached to the final report. 2. CMHI will provide an inspection report within 24 hours (normally the same day) of the initial inspection by e-mail or placed in standard delivery mail. The Report is intended to disclose to the Client major defects that could significantly affect the Client’s assessment of the house, and is essentially a professional “second opinion or snapshot” of the house as of the date of the inspection only. CMHI will use reasonable efforts to document visual observations and make recommendations based on knowledge, experience and training; but CMHI is not responsible or liable for problems which cannot be reasonably discovered in a limited inspection. The Inspector’s primary concern is to use accessible and visual clues combined with training and experience to discover major and unsafe conditions, so that the client can make his or her own evaluation of the overall condition of the home. The inspector will not report on every minor problem or condition in the house. Any reference to minor sub systems and or components is solely for the Client’s further information and requires further evaluation. Cosmetic deficiencies are to be considered as obvious as an exhaustive listing is beyond the scope of this inspection. 3. This is not an engineering survey or architectural assessment of the property. The inspector is a generalist with limited knowledge across many fields and is not to be considered an expert in any specific field. CMHI will not estimate the scope or cost of any needed repairs. The true cost of repairs should be determined by communicating with the appropriate contractors, tradesmen or experts. In an inspection of limited scope, it would be impossible to find every defect in a house; visually every property will have problems not identified in a final Report. Items such as, but not limited to, windows and doors, light switches, wall outlets, hardware and locks are checked on a representative number basis. Air conditioning systems are not tested during cold weather as they can be damaged. If a system is shutdown, the Client should ask the owner to provide written assurance that the system in question is functional and provide a service history and or any maintenance records. 4. This confidential inspection Report is for the exclusive use of the Client and may not be transferred, assigned to or relied upon by any third party. ALL COPY RIGHTS ARE RESERVED. The client shall indemnify and hold harmless CMHI from losses, liabilities, damages and penalties and all related costs and expenses (including reasonable attorney’s fees) related to third party lawsuits. common areas, dehumidifiers humidifiers; flooring beneath carpeting, winterized systems, recalled components, concealed insulates; insulation effectiveness; fire escapes; code compliance; and auxiliary electrical systems which are not part of the primary electrical distribution system. The inspection for Building Code and Zoning violations and permit history, sufficient capacity for intended use and the legality of any building improvements or additions are excluded. Note: Testing for radon gas & water quality is available upon request for an additional charge. 6. No testing or inspection is included in the home inspection for wood-destroying insects, household pests or damage from insects. Your due diligence should include hiring a licensed pest control company to inspect the home NOW. 7. The results of the limited inspection and information contained in the report are based upon observations of readily accessible and observable areas on the date of inspection only and in conformance with the Commonwealth of Massachusetts 266 CMR 1.00 through 11.00. The report is not a guaranty or warranty against future defects in the inspected property. Homeownership brings with it the certainty that failures and repairs will occur, your home inspector will not be able to predict all such occurrences. 8. In any instance where there is a specific concern either by the Client or as raised by CMHI, the Client is advised to secure further evaluation and repair / replacement costs from an applicable licensed & insured contractor or specialist NOW, before proceeding with any purchase. components. The Inspector does not enter areas which may be dangerous or inaccessible, nor perform any procedure which may damage the property or its components. CMHI not operate any component which is shut down or otherwise inoperable. 10. The Client understands that it is impossible to accurately predict when any item or component in the premises which is the subject of this agreement may need replacement or repair. The Client understands that this is due, in part, to the fact that previous owners may or may not have maintained and serviced the systems or components properly and that problems are time-related. The Client understands that because of many variables, components working at the time of inspection may not necessarily function correctly in the future. 11. If any part of this contract is declared invalid or unenforceable by any court or competent jurisdiction, the remaining parts of this agreement shall remain in effect, and shall NOT be affected thereby except as necessary to adjust for the invalidated part. 12. It is strongly recommended that the Client attend and participate in the inspection for valuable information exchange about the condition of the property and maintaining its value. The Client's presence and questions during the inspection are crucial to understanding the final report and to the Client's ability to arrive at his/her own conclusions about the inspected property. If for any reason the Client is not present at the time of the inspection, this agreement will become part of the inspection report and acceptance of the inspection report will constitute the acceptance of the terms and understanding of the above. 13. CMHI does not make any recommendations as to whether or not the Client should purchase the home, the fair market value, or fairness of the price. CMHI will Report on each individual system and major component of the home listed in 266 CMR 1.00 through 11.00 Standards of Practice but will NOT attempt to "rate" the home as a whole. 15. The Client has been informed that the inspection is not a substitute for a PRE-SETTLEMENT WALK-THROUGH as conditions can change between the day of inspection and the day of settlement. 16. The Client has agreed to assume all the risks for all conditions that are concealed, not readily accessible or obstructed from view at the time of inspection or exist in any area excluded from inspection. In addition, the Client has agreed that inspection of the excluded items shall be performed, detected and evaluated by “other specialists of his/her choice and hire. in order to determine the financial impact on your budget. Any item noted as a SAFETY HAZARD, should be repaired NOW. 18. The Client has agreed that CMHI shall be indemnified and reimbursed by the Client for its respective counsel fees, costs, expenses and efforts in defending against any civil action, where the Client does not prevail in a court of competent jurisdiction. Further, the Client agrees to indemnify and hold harmless CMHI from subrogation. 19. The Client has agreed that the inspection of detached buildings (sheds, garages, barns, etc.) is EXCLUDED from the inspection and report unless separately contracted. 20. The Client has agreed that if the home inspection is for reasons NOT PERSUANT TO THE SALE OF THE PROPERTY, or if the number of dwelling units in the building exceeds five, that the limit of liability to CMHI and its employees be limited to the cost of the inspection. 21. The Client has agreed that the copy righted report issued under this agreement is confidential and for the exclusive use of the Client. The report is for the sole use of the Client, and may not be transferred, assigned to or relied upon by any third party. ALL COPYRIGHTS ARE RESERVED. The Client shall indemnify and hold harmless CMHI from losses, liabilities, damages, and penalties and all related costs and expenses (including reasonable attorney’s fees) related to third party lawsuits. 22. In consideration for the inspection, the Client agrees to pay CMHI its fees as specified. Payment is due in full when the inspection is performed, and shall constitute acceptance of the terms and conditions of this Agreement. It is understood and agreed to by the parties hereto that all the provisions, limitations, exceptions, and exclusions of this Agreement shall apply to any optional services entered into by the parties.